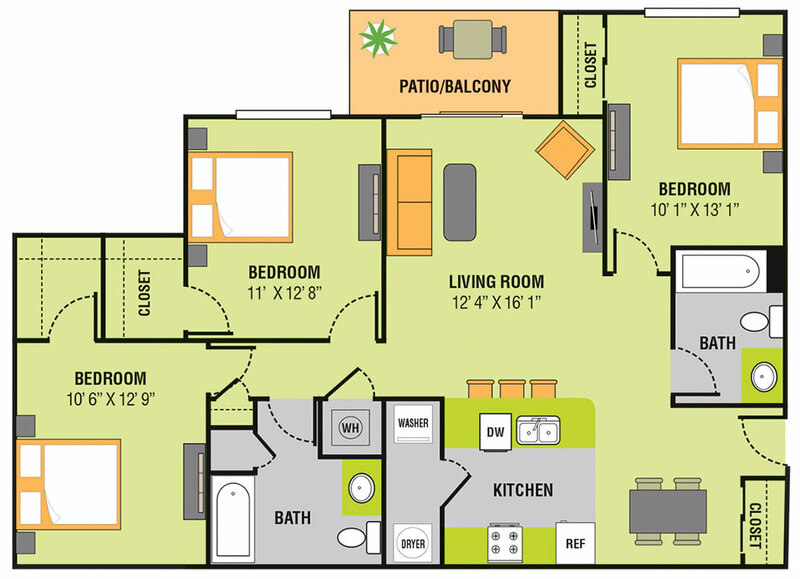 Titan Springs offers an exclusive selection of unique, spacious floor plans. 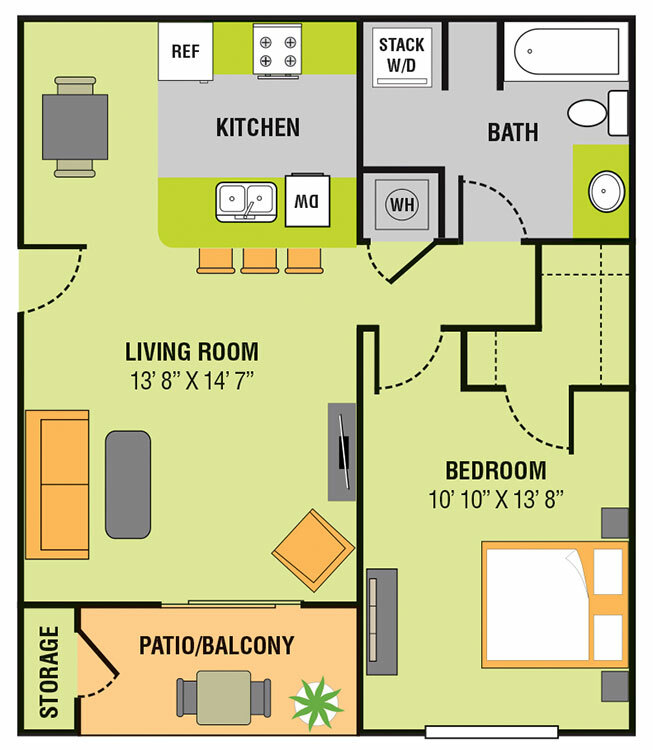 Our one, two, and three-bedroom apartments include a living and dining area, a kitchen, a patio or balcony, walk-in closets, and the corresponding number of bathrooms and bedrooms. Whether you're cooking up a delicious meal in your fully-equipped kitchen, featuring its very own kitchen island and stainless steel appliances, or you are catching rays on the sundeck beside Titan Springs’ gorgeous swimming pool, our apartments allow you to live life to the fullest. At Titan Springs our goal is to transform mere apartments into true forever homes. Once our residents move in, they never want to leave! 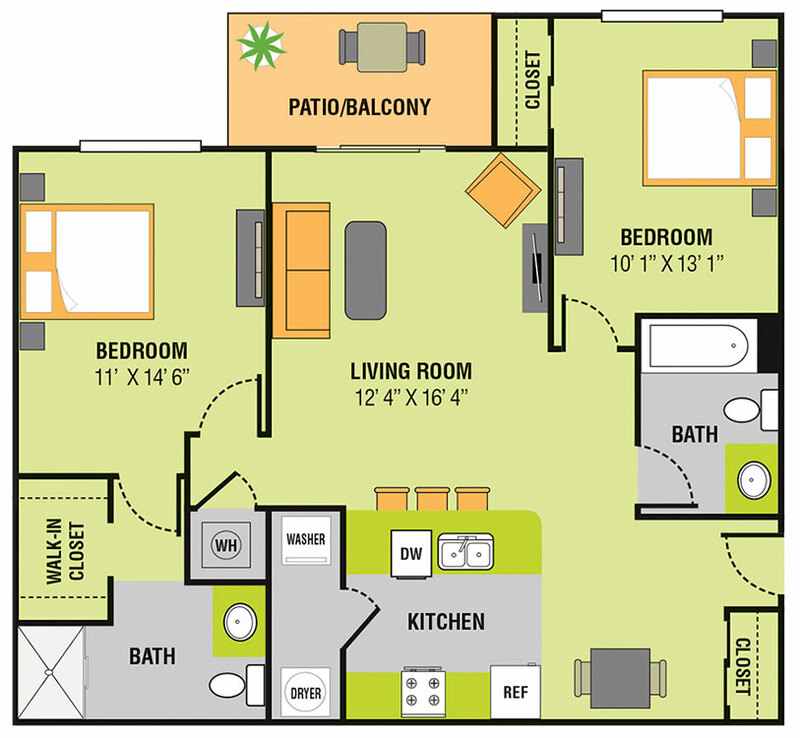 From our 709 to 1206 square foot floor plan, we are confident that you will find the ideal space to suit your lifestyle.